Based on the new Intel® NetBurstTM micro-architecture, the Pentium® 4 processor improves performance on today's high-end applications. Plus you'll have the power to take advantage of tomorrow's emerging Internet demands and digital technologies. Designed for High Performance! 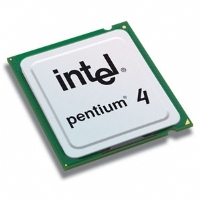 The Intel® Pentium® 4 processor is designed to meet the demanding performance needs of the home PC user. The processor's internal design delivers a higher level of performance for activities that need it most, including Internet audio and streaming video, image processing, video content creation, speech recognition, 3D, CAD, games, multimedia, and multitasking user environments. AMD Introduces the Only Windows®-Compatible 64-bit PC Processor! 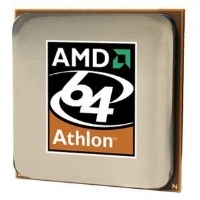 Built on AMD64 architecture, the AMD AthlonTM 64 processor is designed to deliver outstanding levels of performance and customer-focused innovation to home and business users alike. AMD64 technology is AMD’s approach to 64-bit computing which doubles the number of processor registers and increases the addressable memory space well beyond 4GB for increased performance and new, cinematic-computing experiences. Processors with AMD64 technology offer leadingedge performance on today’s software applications while enabling a seamless migration to future 64-bit computing. AMD64 Technology enables the industry to advance software development on all fronts, with x86 compatibility, while providing the capability of delivering 64-bit technology benefits.